I had the infant carrier out for the baby girls I watch. 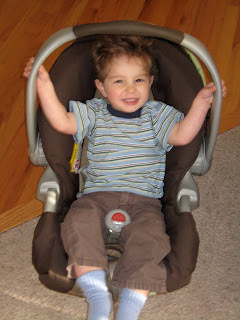 Matthew climbed on in "baby sisser's chair" and asked me to pick him up. Umm, no thanks! We were getting ready to go somewhere (probably the zoo because Matt was excited to hit the road) and I told him he needed a diaper change first. He ran down the hall, opened his bedroom door, grabbed a diaper, and called me over when he was situated as pictured. Ok kiddo, if you know that much you are ready for potty training! This was taken at 6 am. Enough said. 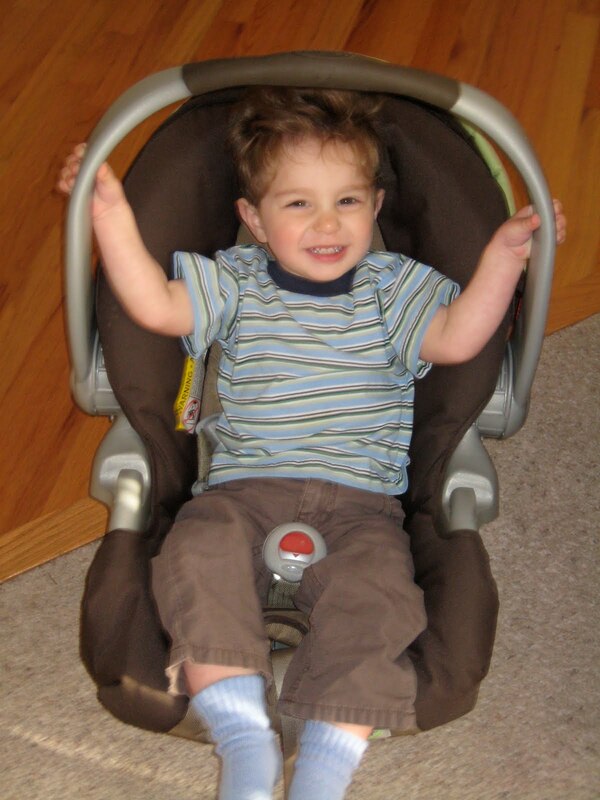 That picture of him in the infant seat makes me so sad. That used to be his!